Another weekend for reading! Pretty much my plans... I haven't done a book haul in while. I forgot to take a picture of this one before I sent it to the next reader. Oh well. I did read the book and post my review already. It was alright I guess. Another vampire paranormal romance. Of course I want it. Plus the cover looks nice. Another one I've read and enjoyed. I think the only thing I was bummed about was finding out this is not a trilogy. The series continues after this book. I read the first trilogy from this world in 2010. While I am amazed with the fantasy and politics/scheming, the size of the books are so daunting. But I think I'm ready for another excellent fantasy! becoming jnn looks amazing! ope you like it and all the other books. 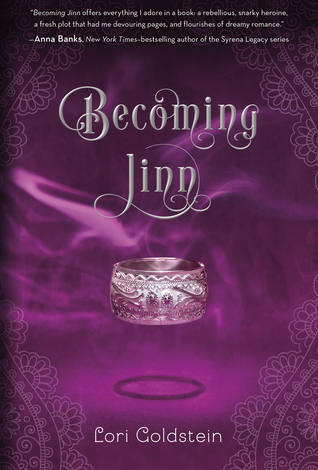 Becoming Jinn has a great cover. I hope that you love all your new books. I've tried to read "Gone Girl" a bunch of times but I just can't get into it. Happy reading! I just finished Gone Girl. I loved it. I haven’t seen the movie, though. Great haul! Becoming Jinn sounds like such an interesting read. It's so cool that it's about genies! I'm reading Gone Girl right now. I've seen that a lot of people haven't been crazy about Becoming Jinn. I'm hoping Becoming Jinn is good because I haven't heard the best things about it. Nice group of books. I am curious about Becoming Jinn and have seen some mixed reviews. I read Gone Girl in January. It was well written and I enjoyed it, although it was not one of my favorite. ooh becoming jinn! Lot's of good looking books this week. I got Becoming Jinn from part of a tour a bit ago, can't wait to get to it! And I still need to get Shadow Cabinet, hoping I haven't forgotten too much since the last one came out. Great haul!